Small / Medium - $49.99 Only 6 left! Medium / Large - $49.99 Only 3 left! So you long to be a street fighter whose goal is to test your power against different fighters and who strives to become the strongest of all street fighters, but has to restrain that muscle power due to not wanting to put your family in mortal danger! Totally relatable! And you don’t have to feel embarrassed anymore about how you spin around in your living room, shouting, "Shoryuken!" while punching the sky, because you’ve found your people: We’re just like you! Honestly, we can't think of a better way to spend our afternoon, either. 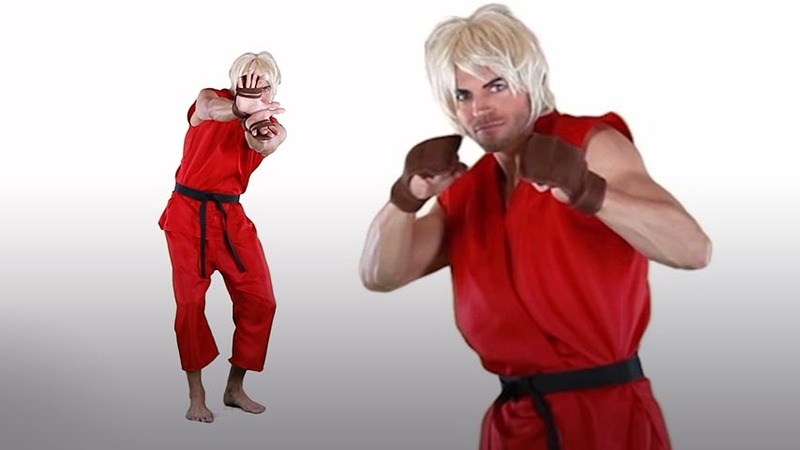 Of course, if you really want to take your Street Fighter training to the next level, you’re gonna be a much better fighter if you’re wearing the official garb of Ken Masters. Think about it! You know how there’s always that article that talks about how students learn better when they wear a uniform? So too for Ultimate Street Fighters! So get that mind right and get that much closer to becoming one of the ultimate Street Fighters by slipping into this Ken Costume! 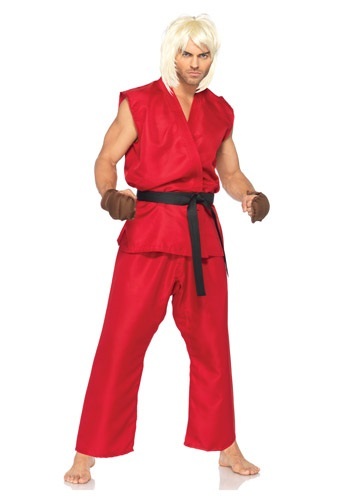 Made of 100% polyester, this officially licensed Ken Costume features a Red gi top with ties along the side, as well as matching red pants with an elastic band in the waist for a comfortable fit and an easy range of motion! The costume also comes with a 96" long black belt, and brown hand pads that have elastic in the palms. In this Ken Costume, you’ll be all set to challenge Ryu any day of the week!